A huge thank you to Oberlin College’s Bonner Center for inviting Healing Companions, Inc. to participate in the Volunteer Fair on 9/6/18. We had a truly amazing time with over twenty-five folks signing up to volunteer with us. We also want to thank Oberlin Northwest bank for donating free water bottles, frisbees, key chains, shirts and goodie bags. 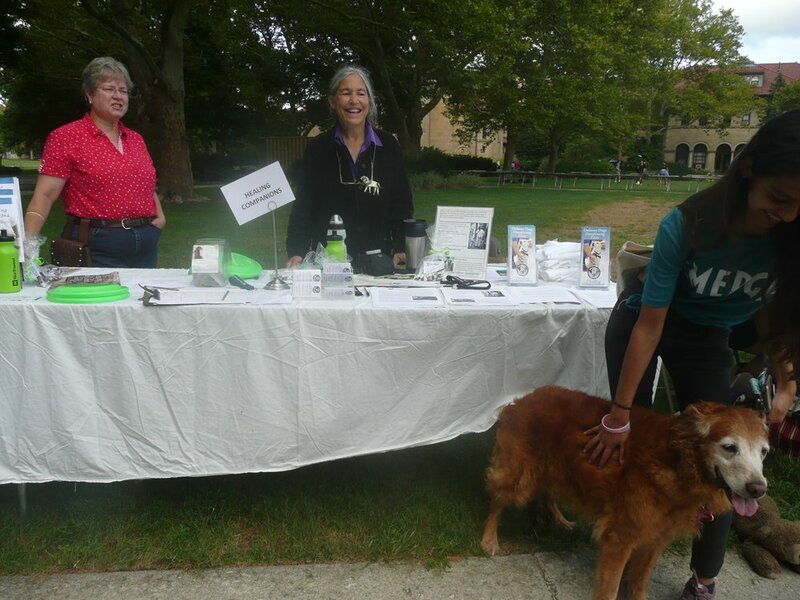 Ahava, Jane’s golden retriever and co-therapist attracted crowds to our table and provided an afternoon of pets, cuddles and love showered upon them. We are so grateful to the Bonner Center and everyone that stopped by to learn all about Healing Companions and wanting to join us and spread the word through their social networks.